Of course I’m not exaggerating in the slightest when I say phones have become more of a necessity than a luxury. From navigating your way through the city to shopping for your weekly groceries, your smartphone is your companion in almost all your activities. And aside from the utility standpoint, there’s a ton of people for whom the smarphone is an extension of themselves, an expression of their personalities. It thus becomes important to think over your next smartphone specifications before you decide to purchase one. There are several factors to consider before you buy your smartphone. Let’s dive into some of the most important ones. Most of us start choosing a phone by deciding on the price range that suits their budget. Smartphones come in varied price brackets. There are various high-range, mid-range and low-range phones with competitive features. Irrespective of the price of the phone, some basic features have been incorporated in almost all devices in the market. 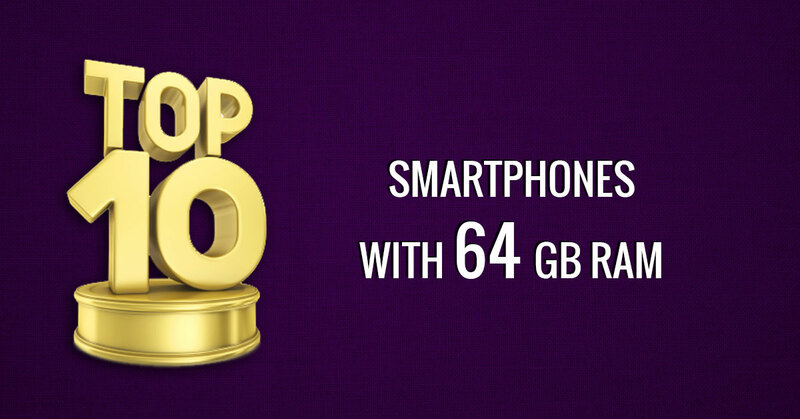 Most phones come with efficient processors, great display features and the latest OS version. While the Moto E and Moto G4 are a few examples of great phones in the lower price bracket, LG G4 and HTC One M9 are competitive devices in the mid-range. Samsung Galaxy S7 Edge, iPhone 7 and LG G5 are some of the best phones in the top most price range. After having decided on a budget, one should look for the most efficient features in the phones available in that range. An effective decision can be made only after considering all the following factors. The build of a smartphone determines its durability. 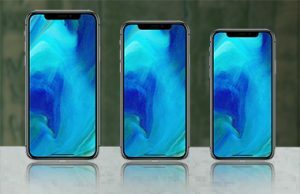 The industry has adopted three different finishes predominantly; Glass, Metal and Plastic, with Leather featuring occasionally in a few phones. While metal phones look good and help dissipate the processor heat in case of overheating, they tend to show scratches and damages caused to the body. Glass phones using Corning’s Gorilla Glass are durable, look good and offer protection against scratches. However, they are fragile and limit the design options. Plastic smartphones are cheaper and help the signal-reception sans any interference. They, however, do not look as appealing as glass and metal phones do. LG G6 and the Samsung Galaxy S8 have glass bodies with minimal bezels. They look great but are vulnerable to drops. Lenovo K6 Power and Moto G5 Plus offer elegant and sturdy metal bodies. While the choice of the build is subjective to ones’ preferences, it is advisable to do a thorough market survey before the final decision is made. The processing power, clock speed and size of the RAM determine how efficiently you can multitask with the phone. It also determines how your experience with me the basic apps and functionalities, like playing games or editing photos. The chipset of a processor manages the main computational functionalities of the phone. The core of the processor determines how the program instructions will be executed. A multi-core processor comprises of several independent CPUs and offers power-efficient instruction execution abilities. A higher RAM size and clock-speed will enhance your phone speed, efficiency and multitasking experiences. There are several other components like the GPU, ADC processors and other on-board units that lend the processor its attributes. The next-gen Snapdragon SoC to feature in the upcoming smartphones, SD835 will revolutionise the mobile industry. Qualcomm’s first 10-nanometer chip will feature in some leading phones like Samsung Galaxy S8 and the Sony Xperia XZ Premium. Some leading processors offered by MediaTek are Helio X27, Helio X25 and Helio X30/ X35. Apple’s 64-bit A10 chip in iPhone 7 is known for its fast speed. Most flagship phones have RAMs sized equal to or greater than 4GB. Some phones like the OnePlus 3T offer 6GB of RAM capacity. The operating system of a phone determines the quality of the user experience a phone can offer to its customers. The leading operating systems offered in the market are Android, iOS and Windows. Recent web analytics reports have revealed that Android is the most popular OS. Microsoft Windows and iOS follow soon after. However, your choice of the user interface and OS version depends on your need of apps and bloatware. For the pure Android experience, one can invest in Motorola devices or even Nexus and Google Pixel devices. Apple iPhones come power-packed with the smooth iOS experience. Some leading Windows phones are Microsoft Lumia 950 XL and HP Elite X3. It is recommended that you use the handset to explore the software features before you buy it. This will ensure that all the necessary features that you expect in a phone are provided to you. Some smartphone companies offer removable batteries. 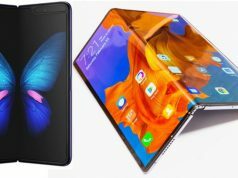 While this design has fallen out of favour with most smartphone manufacturers, it still has some benefits. You can easily replace a removable battery. However, the unibody design with non-removable batteries ensures lesser damage to the interiors of the phone. Battery capacity determines the phone’s potential staying power. A phone with a greater capacity lasts longer on a single charge. A heavy user who works a lot on his phone will need a phone with a battery capacity of at least 3500 mAH. An average or light user will be able to manage well with 3000mAH. Samsung Galaxy S7 Edge and Motorola Moto X Play offer some of the best battery capacities in the market right now. Any phone that lasts around 9 hours with full 4G LTE support has a good battery power. Lenovo K6 Power, with its 4,000 mAH battery is one of the most competitive models in the market right now. The screen size and resolution offered by a phone is a very vital factor. While small-screen phones are compact and easy to handle, a large screen can enhance your video watching experience. Reading e-books and working with 2 apps in a split-screen is also more convenient in a large screen. The iPhone 7 plus and Google Pixel XL are great phones with a 5.5-inch screen. A good small-screen phone offered by the market is the iPhone 7. The resolution and display quality of a phone are defined by the screen brightness, resolution, color quality and viewing angles. Phones with AMOLED screens like the Samsung Galaxy phones offer richer colour quality and wider viewing angles. The full HD resolution is a bare minimum required for a good smartphone experience. Many phones offer a 4K resolution (3840 x 2160), like the Xperia XZ Premium. Most phones these days offer a quad-HD resolution of 2560 x 1440 pixels. Many phone variants come with an internal memory of 16GB/ 32GB/ 64GB/ 128GB. Before deciding on a phone, one should determine the number of apps, media files and documents that need to be stored. The internal memory can be expanded using a microSD card. Many phones offer the facility of an expandable memory, while others do not. A user with a lot of apps might go for the 64GB or 128GB variants. They can also opt for a 16GB variant with a microSD card-slot. The OnePlus 3T is good option with 128GB internal memory to offer. Moto M, Lenovo Z2 Plus and the Xiaomi Redmi Note 4 offer 64GB worth of internal memory. The Moto G5 Plus has 2 different variants i.e. 16GB and 32GB with a microSD slot each. With the advent of cut-through imaging technologies at a smaller scale, the smartphones have cut down on the demand for dedicated cameras in many households. Some specifications that smartphone users look for in their phones’ camera are camera aperture, pixel size and flash quality. Image stabilisation techniques, ISO levels, shutter speed and additional features like auto-focus and face detection are also important. While most smartphones feature dual-cameras these days, there is a huge competition on the quality of the secondary camera. A lot of phones in the market currently feature dual rear cameras. LG G5, Apple iPhone 7 Plus and Huawei Honor 6X have grabbed eyeballs with dual-primary cameras with additional features like phase detection (PDAF), wide-angle lens, Quad-LED True Tone flash, optical zoom and image stabilisation techniques. Moreover, the quality of the front camera is also a determining factor these days, given the rising popularity of trends like social media stories and selfies. HTC Desire EYE with its 13MP front camera has garnered attention for its brilliant image quality. The customer trends have shifted from a mere focus on the pixel size and density to other features as well. Users are now aware of the lens properties and do not blindly chose a 13MP camera over an 8MP camera. Apple iPhone 7 Plus, Samsung Galaxy S7, Google Pixel and Lenovo Moto Z are some phones to look out for if the camera is your determining factor. The audio output quality is not on everyone’s list when it comes to determining the features for buying a phone. However, they can be a very important parameter for those who rely on their phones for video-streaming and conference calls. A handset with front-facing speakers can provide you with an excellent audio experience even in the landscape mode. 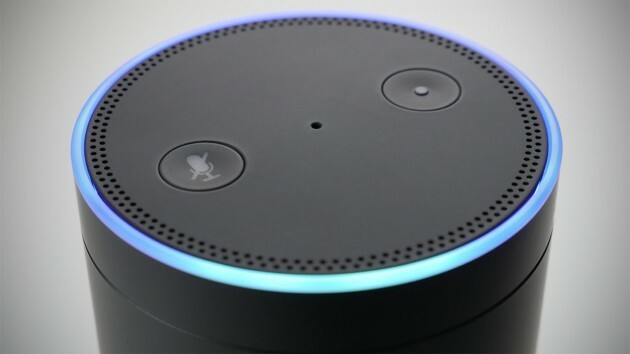 While one can improve the audio output of a phone using accessories and add-on devices, the phone’s internal audio system can be a big selling point. HTC 10 brings on the table a Hi-Res audio system with a top notch DAC. It’s dedicated amp sets it apart from its competitors. LG G5’s B&O Hi-Fi Plus sound module makes it popular among music lovers. LG V20 and Sony Xperia XZ Premium are some other well-performing phones in this domain. 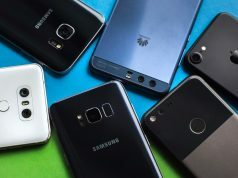 Most smartphones in the industry boast of sensors like Accelerometers, Gyroscopes, Ambient Light Sensors, Proximity Sensors and Digital Compasses. However, a few phones now come with a fingerprint sensor for security and navigation purposes. Moto G5 Plus, OnePlus 3T and Xiaomi Redmi Note 4 come with efficient fingerprint scanners. Very few phones also feature an eye scanner for security applications. 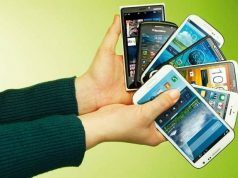 Besides features, one also needs to look at the phones’ resale value, market demand and even connection specifications before buying it. With the wireless communication industry developing rapidly, a phone should support Bluetooth, Wi-Fi, 3G and 4G connectivity and NFC. Wireless charging is another feature that many users look for in their next smartphone purchase. While the basic features need to be thoroughly checked and surveyed, the final decision should be made on the basis of what provides you with the best user-experience for you. Previous articleOppo vs Vivo smartphones – Cheap or Value for Money?